Disconnection was the marching order from Kikkerland Design and A.S.Adventure, Belgium’s biggest outdoor retailer, which teamed up with students from the renowned Design Academy Eindhoven on a design challenge. Students were tasked with creating “objects that unplug from digitized society and invest in their outdoor environment.” The winners debuted their goods during NYCxDesign this month. In the semester-long project, Oscar Peña, head Man & Activity at the DAE, and professors Natassia Jacobs, Chris Koens, Mieke Meijer and Christopher Brach were on hand to guide students and review products and concepts. Rebekka Evers’s “Stick It,” an outdoor construction set for children, took home top honors. Designed to stimulate creative thinking, the toy includes a sharpener and 20 silicone construction blocks. 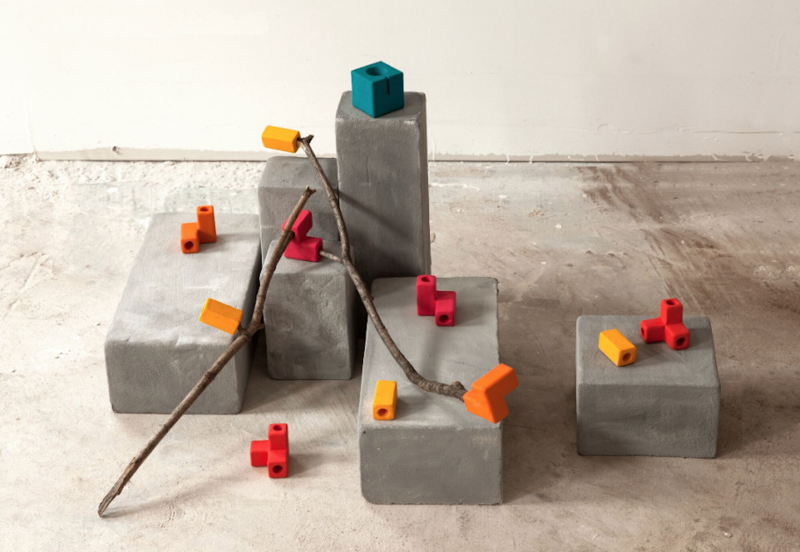 Children can “collect sticks, sharpen with the sharpener and insert them into the blocks to build anything,” says the designer. 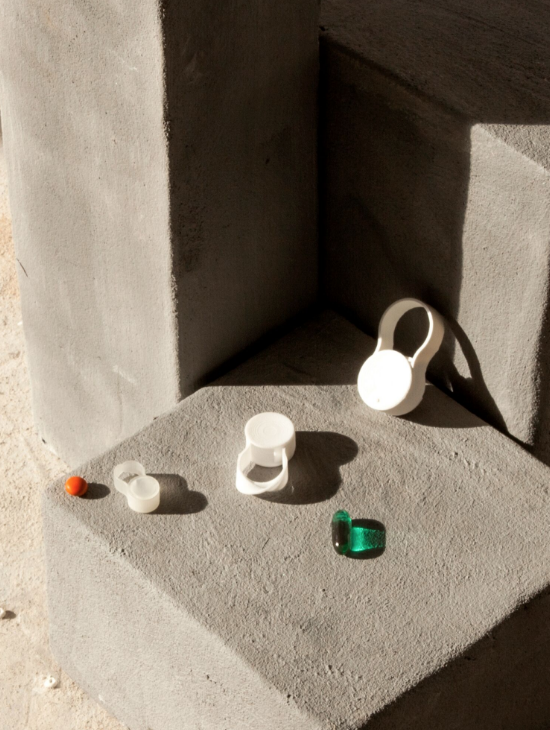 The other winner, “One Pillcase” by Leandra Eibl, is a minimalistic case for vitamins, mints, aspirin and pills.